I am single and always have leftovers. Don't want to eat them for days so I use these plates to make my own tv dinners . Much better than store bought because they are homemade. They are made very well. Lids snap on tight and love the steam vent. I will be buying another set. I bought a set from another company and they are very thin plastic. they wont last long. Convenient way to bring meals to the office or to school. I use it mainly for leftovers, especially from take out. They fit nicely in the refrigerator and keep everything separate. Great for Microwaving! I've always wanted to be able to take one day and cook meals for the entire week. This product fits the bill. From freezer to microwave to dishwasher these plates are awesome. I love to cook, but since I'm single, leftovers are often a problem. With these dishes, I can create my own "TV" dinners. Very handy, much less waste, and great for the days when I don't feel like cooking. With winter coming on, I can have up to a week's worth of meals in the freezer for times when I'm snowed in. There's no downside to these plates! I hope they make these forever! I keep adding leftovers to each plate and it will finally make a full meal. Eventually we have one night of different meals quickly....no prep work. Really great. I been looking for a long time for these. I love them, I use them all the time. They are so handy for left overs for lunch and dinner next day. These are ideal for toting my lunch everyday! They hold the perfect amount of food for me, and the cheery colors make for a nice presentation. They are top rack dishwasher-safe, and work fine in my microwave. If your micro is 'strong', meaning things quickly overheat, maybe try a slightly lower setting so the plastic doesn't warp. I live in a retirement home and use the plate to transport my hot meals from the centtral kitchen to my apartment. Great for taking lunch to work! I purchased a set for my 90 year old parents who were finding it difficult to prepare meals. We take meals into them but when there were leftovers, things were put into individual containers for storage. I personally use them myself and make a complete dinner in a dish with leftovers. So I thought of them and how much easier to make a complete meal in one dish for reheating in the microwave. 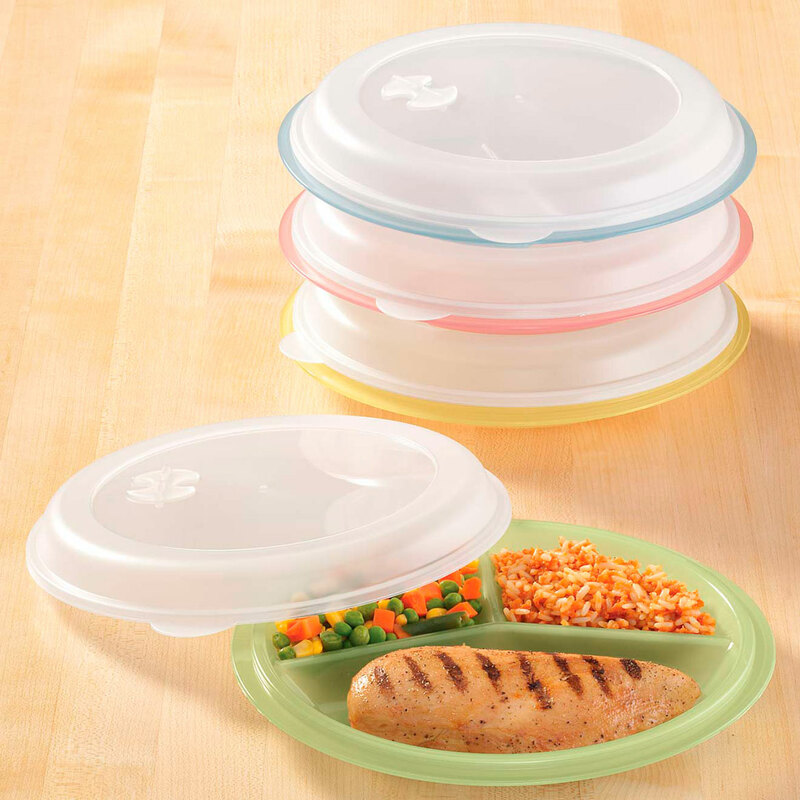 Saves space in the refrigerator without needing all the little individual containers, the meal is already made up helping them with the ease of having a hot dinner the next day to just microwave. My sister took a few home with her and when she has leftovers from her meals, she just makes up a dish and takes over to them. Couldn't be easier for two who have difficulty getting around and cooking for themselves. I live alone and it's hard to cook a meal for one. These plates are just the thing. Gill 'em up and pop into the freezer. They go from freezer to microwave to dishwasher without a problem. I cook larger meals than I would eat at one sitting, then make up my own quick dinners for those busy days. So much better than boughten TV dinners. As far as I am concerned there are no cons for the plates. When my husband died in 2006, I purchased four of these plates. I am almost 69 years old and have conjestive heart failure. I just don't feel up to cooking everyday. My doctors want me on a salt-free diet. I have been cooking every four days, making my plates and freezing them and I JUST LOVE THAT. I am purchasing four more plates so I only have to cook every 8 days. I love this idea. I really got these for a friend for Christmas because she gets tired of cooking every night. With these plates she can prepare several meals and put them in the freezer. Later she can take one out and microwave it. This saves time and money in meal preparation. She says they are great! I'm excited!!!! Now I can prepare meals at the first of the week and be ready for my upcoming meals. I like to tell everyone to buy these plates and join the crowd. These plates are great! They are good for picnics, or warming up leftovers. They work well for kids or adults. I am personally using them for healthy eating portion control. You won't be disappointed, and you get your money's worth! I cook several dinners at one time and put them into the divided plastic plates. I place them in my freezer. I do this several times a month. When I am in a hurry or do not want to cook, I take the dinners I need from the freezer and heat them in my microwave. They always come out nice. I am well pleased with them. We use these for make ahead meals and freeze for our weekly meals. I use them for leftovers, to have meals ready to eat in the freezer, or even in the refrigerator if I am going to eat them in the next day or 2. I love them. To use fewer disposables, I take one to restaurants as a doggie bag and to family gatherings to use instead of paper plates. Surprises me that no one ever notices/comments. I guess I am really invisible. I have used these for years and love them, have no cons. I even purchased some for my neighbors who are always bringing me dinner, they like to cook, not my favorite. Makes it easier for them and better for me. 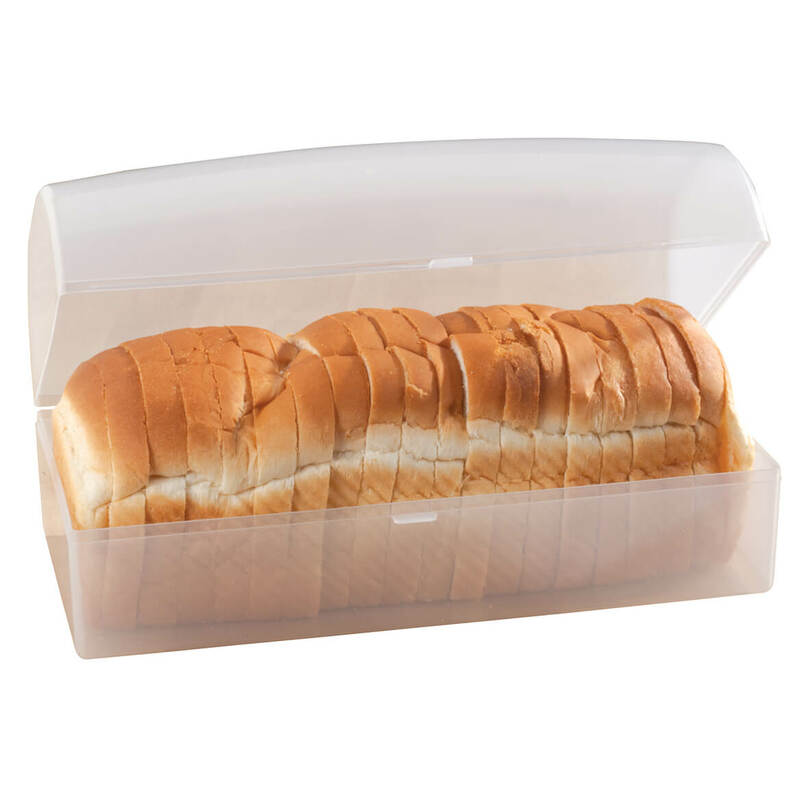 Use the product to transport leftovers to work. My mom has Alzheimer's and the divided plates help her differentiate her food. The dividers are deep and wide and sturdy enough to push food against to help get it on a spoon. The solid colors of the plates are a good contrast and help her identify her food. The cover is air tight and I can prepare lunch ahead of time and it stays fresh. The top snaps nicely but not so snug you can't open it. Solved a big problem for us. For some reason, mom knows the dividers mean it's a dinner plate. She had come to think of regular plates as place mats and wouldn't eat off them. The plate could be a little heavier. Worried mom will try to carry her cup on the plate to the kitchen and it will bend or fall off. It seems a little weak for that. Could be a tad deeper, too, but that's just getting picky! I'm buying more. So handy. I find it hard to cook for two now that the kids have flown the nest. Some recipes are impossible to reduce. Now I don't have to. I use these plates all the time, and the serving sizes they accommodate are fine for me. It couldn't be easier to microwave with these -- open the vent, and it is ready to go. They also clean nicely either by hand or the dishwasher. Am going to order another set since I like them so well. Very useful for taking meals to shut-ins. And,very handy for freezing meals for use later. I use this product to prepare meals for my sight-challenged 89 yr old mother. The smaller portion size is good for her & she can reach in the refrigerator & place in microwave. It has saved me much time & cooking. I bought 2 sets..now I can make a meatloaf, portion it out with mashed potatoes, gravy & veggies for over a week at a time. I have used these plates for years. My wife and I cook my lunches for work about once every three weeks. I use a large rubber band to keep the lid on tight when i toss my lunch box under my desk. We use them often with left overs and sometimes freezing meals ahead. Very handy for next day lunch. I am planning to buy more, they fit in the fridge and freezer, not taking up a lot of space. I really like them and refered them to a friend. They are large,and easy to fill. The only thing I don't like is the top comes off too easy during transport---like to work for lunch. Out of the 2 sets I ordered, only 3 had a tight seal that did not pop off easy. As I'm only going to use them for freezing dinners, I can put a piece of plastic over the top before putting the lid on. However, I myself, would not recommend putting liquid and traveling with these. For what I want them for, they will be fine. If you do travel with them, put a band of some kind around them. Very good for use in the micro wave. Excellent item. From freezer to microwave and dinner is served. Purchased a second set. I haven't used any of them as of now, but I plan to cook up a stown and store & Stack in the freezer. I'm learning to have food ready to eat so not to run out and buy at a fast food place. My way is healthier. Can't get much in these containers. They need to be deeper. i cook for many individuals at one time this was a good idea to divide out the meals, untill i found they leak. cannot be used for gravy, any pasta with sauce, veggies with butter or cheese, etc. totally usless! I purchase two similar types of these plates several years ago to prepare food for my elderly brother. They lasted more than ten years with no problems. I prepared his dinner, heated it in the microwave, when I made twice weekly visits to him.They were solid gray and held up well. I now purchased these new plates to prepare food for another elderly person. The lids warped after the first use.They may be pretty and colorful,but I'll take my solid gray plates over these cheap,flimsy colorful ones any time. Oh by the way ,the company does have a disclaimer on the lid admitting that they may not hold up and warp in a microwave. So what good are they? Not a great size or quality product! I use these plates to bring leftover meals to a handicapped friend, and I thank God, he has a small appetite; the sections can only hold child size portions. Although they are dishwasher safe (I always use the top rack), they scorch too easily. Only good feature is the vent opening in the cover, so the lid can be left on when reheating. I'm afraid to reuse when they do become badly scorched... and I certainly don't wish to keep buying more! I purchased a similar product over ten years ago. The plates were deeper and although the lids were not vented,I never had a problem.More recently, I purchased a newer set one to two years ago.The lids are not vented and they warped the 1st time in the microwave. I was unable to find my receipt and they were to expensive to return.I may attempt trying another set with the hope that there has been vast improvement,as they are handy for preparing handicapped meals . I WAS VERY DISAPPOINTED. THEY AREN'T DEEP ENOUGH FOR FOOD. The lids don't stay on well. Several, times, they came open in my lunch bag cooler on the way to work, and things spilled everywhere. Also, one dropped on the floor and shattered like an icicle. And why do they only come in sets of 4? Like almost everyone employed full time,I work 5 days a week. I would return these but the shipping costs as much as the order! I purchased a set about 10-15 years ago from another company and they were deeper. These newer ones I had bought for my husband are to shallow. I am not pleased with them at all.They maybe more suitable for a woman,not wanting a big lunch. This was a bad choice. The cover doesn't stay put when plate is turned and it doesn't clean easily. The portion size is very shallow and you are still hungry after eating on plate. I wouldn't recommend this product but there aren't many choices to choose from. They don't make new stuff like they used to. I picked these plates because they have colorful bottoms and see through tops with vents. I purchased this product for our summer picnics. They come with lids to keep the flies off. It also is easier for the younger children to carry these plates and I am also able to store whatever they have not eaten for later. Since these plates are divided I don't have to worry about jello running into the other foods. A great product not only for summer, but year round. I had these plates before and LOVED them. They were convenient and gave me great portion control. Good quality and held up through multiple washes and microwave use. Convenient for leftovers and take plate of food. I use them for left overs. I can put my leftovers in and freeze them for when I don't want to cook. I needed more. I gave some away that I had. Now I need more. This is what I NEEDED FOR CONVENIENCE. needed something to store not only leftovers but store meals in the freezer. always bringing home leftovers to eat another day. To be able to fix leftover meals more easily. 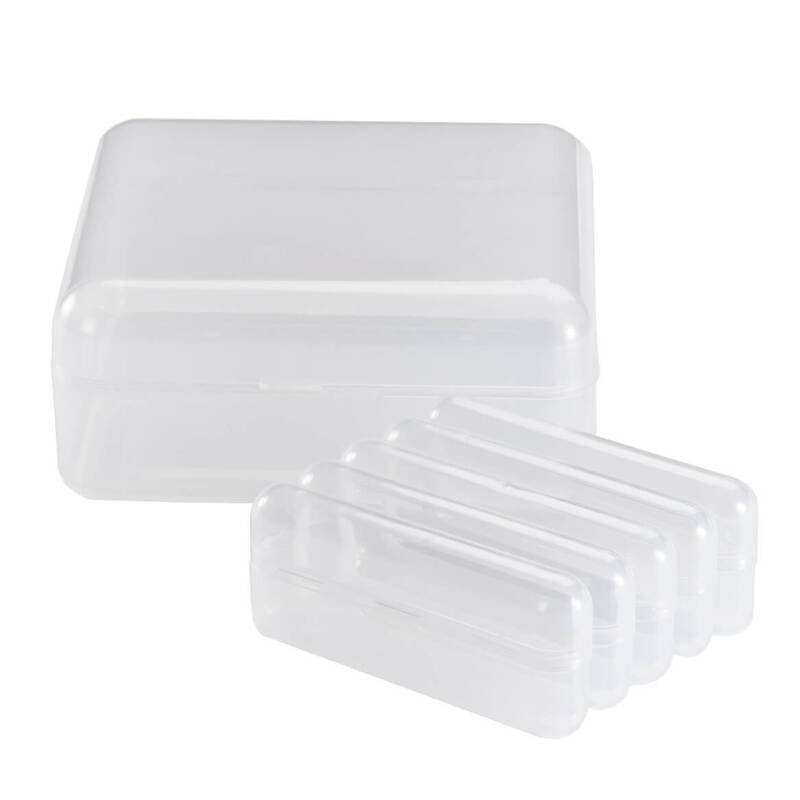 I have bought these before and use them often to store leftovers in freezer for later use. Help to prepare food ahead of time. This help me keep my prepared foods and leftover from freezer to microwave. Convenient to use and less work. I purchased a set for me several months ago. My sister liked them so much so I ordered her a set. Very good product. This is what I have ben looking 4 will be great 4 leftovers. my nose while working. They look like something that will make my work activity a lot more pleasant. GOOD FOR COOKING OUT !!! I prepare meals for the week on the weekends, so these containers can be microwaved, and frozen till needed. Make extra and freeze "ready made" meals. For freezing left over food. I LIKE TO COOK AND HAVE LEFTOVERS READY FOR THE MICROWAVE WHEN I GET HOME FROM WORK. I plan to use these to take my lunch to work. These should come in handy for leftovers, etc. As I lead a busy life, I can freeze them and have a good small meal in a hurry. Looking for portion control plates with storage capabilities to ensure my family eats a balanced meal. These plates are the perfect solution to meal Convenience at home. Thank you! Thought these would be nice for Mom. Especially with the lids. Ordered for my son. He takes lots of lunches to work. I hope it meets my expectation. Ordered because it goes from freezer to microwave. a friend has been looking for these. Son has them and I love them. Are these BPA free plastic? BEST ANSWER: Thank you for your question. Yes, these are BPA free. We hope this information will be of help to you. Are these sold as a set of 4, as shown? BEST ANSWER: Yes. You get four plates and four lids. They are the best for heating leftovers in the microwave and for watching portion sizes. would this be suitable for my toddlers lunch box? BEST ANSWER: No. The plate covers snap onto the plate but not tightly enough that they can be carried around to a day care facility. 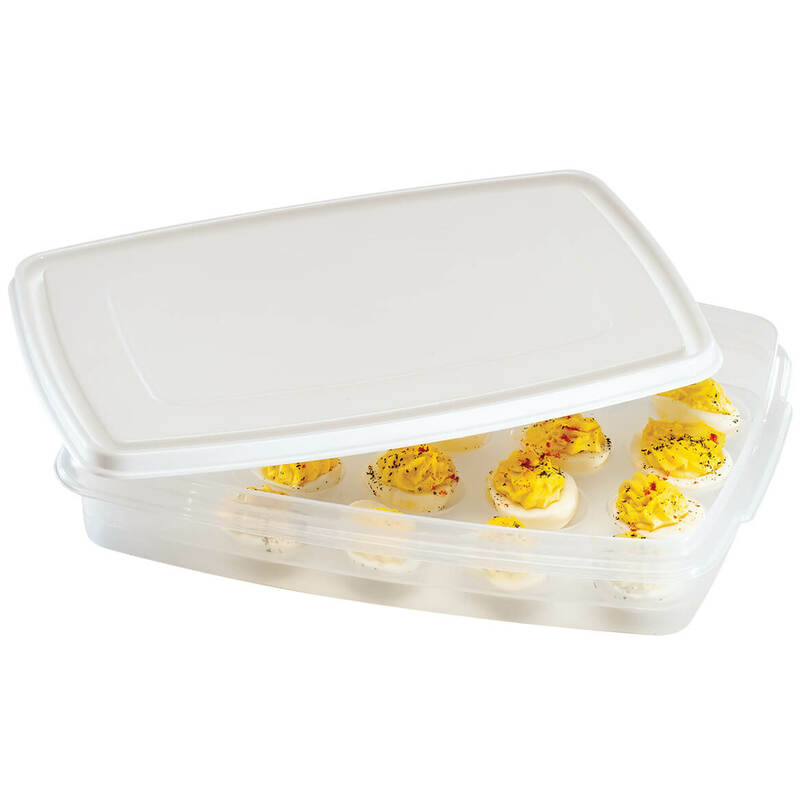 They are great for refrigerating and heating leftovers in the microwave within your kitchen and would work for adult's or children's meals in that setting. It's quite large, for one and it doesn't lock tight. It would be okay if you were serving on the table, but I don't think it will work in the lunchbox. Sorry, I do like these very much. no, the top would not stay on in that way. I think only for heating in microwave and storage in refrigerator. Lunch boxes usually take a beating. It would be perfect to keep the food separated. Your lunch box would have to be large enough to hold the plate. 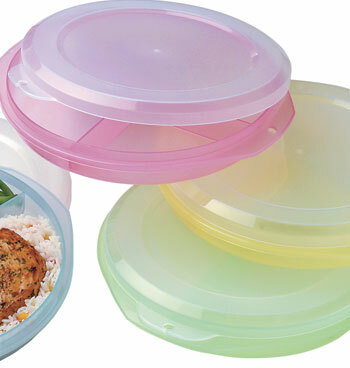 BEST ANSWER: There are four pastel colored plates with lids. 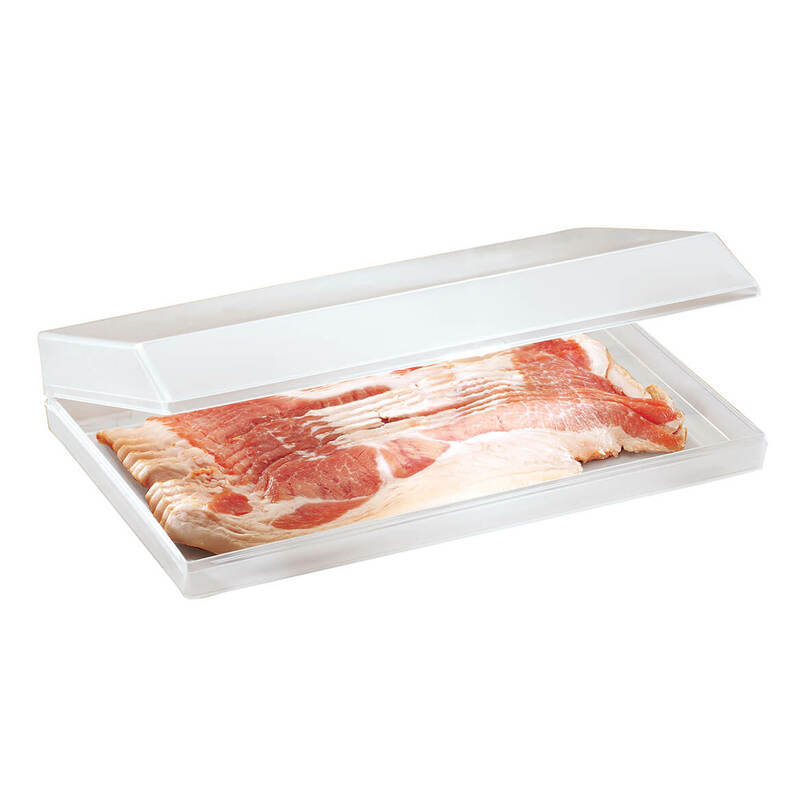 Good for storing or freezing separate dinners for quick meals. It is 12.99 for 4 covered divided plates. The plates are very nice & I use them to take my lunch to work. No it's for a set of four plates with four lids. How would cutting food in plate cut plate? BEST ANSWER: I only use table knife to cut food in storage containers. All other knives including steak knives will cut thru surface if you apply to much pressure . Check out your cutting boards, the only cutting boards that don't have cut marks are the glass ones and they will destroy the edge on your knives pretty quick. 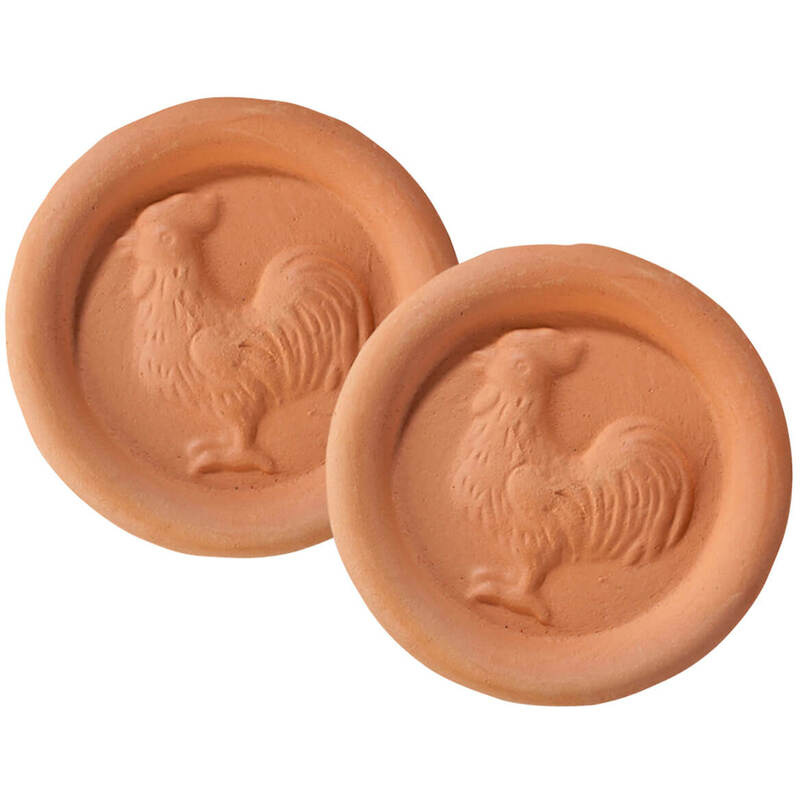 I love my containers they are very durable and have been a real plus. If you take proper care of anything it will do what it's suppose to. I cute on paper plate and then put in dish. Don't cute on these plates, they are like tupperware or any plastic item, they will look rough and leave cut marks on the dish. Can they go in low temp oven? BEST ANSWER: Thank you for your question. These are recommend only for the Microwave for heating. We hope this information will be of help to you. are these plates BPA Free? BEST ANSWER: Thank you for your question. Yes these are BPA free. We hope this information will be of help to you. I would like to know if these plates are BPA Free? 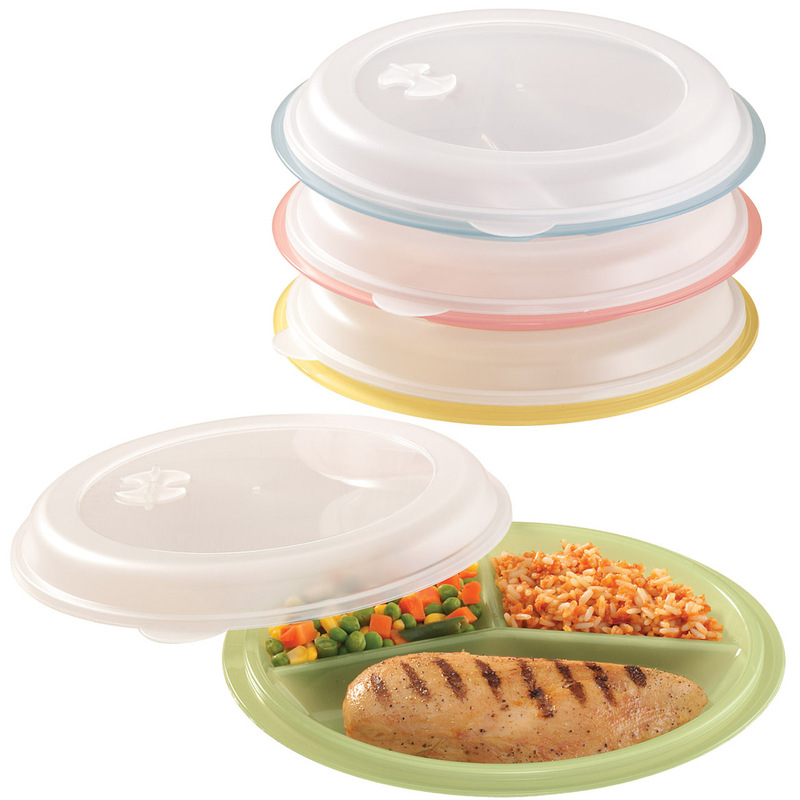 Are Divided Plates And Food Storage Containers BPA free? BEST ANSWER: Thank you for your question. Yes, this item is completely BPA free. We hope this information will be of help to you.